Canada is considered to be one of the perfect destination for permanent settlement and more and more Indian nationals are taking to steps to move to Canada. Immigrants count around 20 to 30% of the population ion Canada. 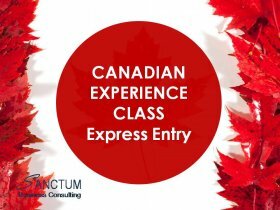 Applicants are applying for Canada Permanent Resident visa through Express Entry Program introduced by the government on 2015 which allows a potential skilled worker to lodge PR visa application electronically after meeting the eligibility criteria. Express Entry online application system brings the pool of candidates for the three Immigration programs under one roof — the Federal Skilled Worker Class, the Federal Skilled Trades Class and the Canadian Experience Class. The right category is selected based on the applicant’s work profile, total years of experience, education and place of residence. •	Write your language exam and get your educational assessment completed. •	Next, fill out an Express Entry profile if you have the eligible score based on the six selection factors like age, education, work, language proficiency. •	Submit the application after completing the online form. Your Express Entry profile will be ranked according to CRS [Comprehensive Ranking System] points system. 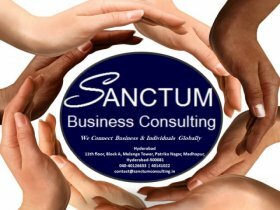 •	If you are highly ranked your profile will be shortlisted and, you will be invited to apply for permanent residence as a skilled immigrant in due course. •	Upon getting the ITA [Invitation to Apply for PR], the PR application with all the documents must be submitted. Your PR application will be processed within the next 6 months.